Bad guy fall down, go boom. Literally. The Golden Age of comics was a screwy time. All manner of publishers put out all manner of characters, and many superheroes, the ones that weren’t blatant rip-offs of other superheroes, had some really bizarre powers that they used mostly to fight Nazis and homegrown criminals. That would be why we even had the Human Bomb. 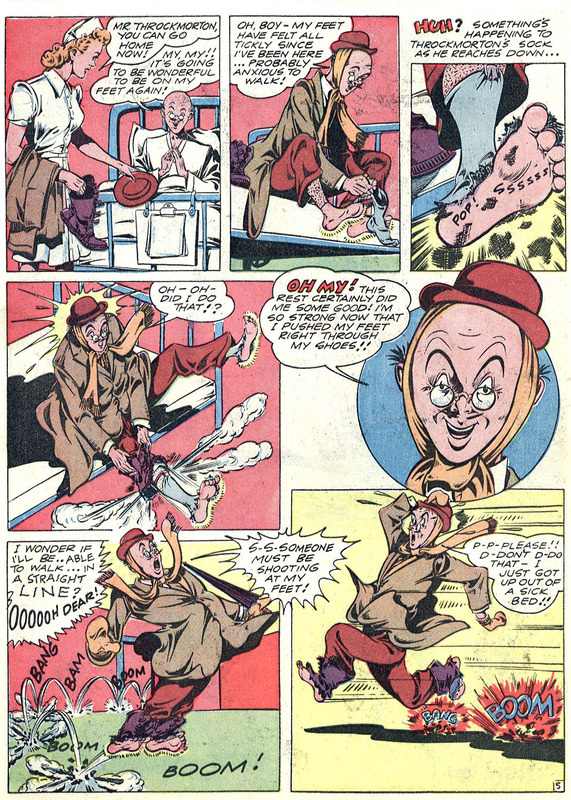 Originally published by Quality Comics, the Human Bomb was Roy Lincoln. Roy and his father were working on a top secret chemical of some sort when Nazis burst in and killed Roy’s father. That always happens in these things. Roy then did a completely sensible thing and drank the chemical. Somehow he didn’t die. Instead, he gained the power to blow things up. Roy’s skin became really sensitive, particularly his hands, and he could cause explosions by coming into contact with, well, anything. 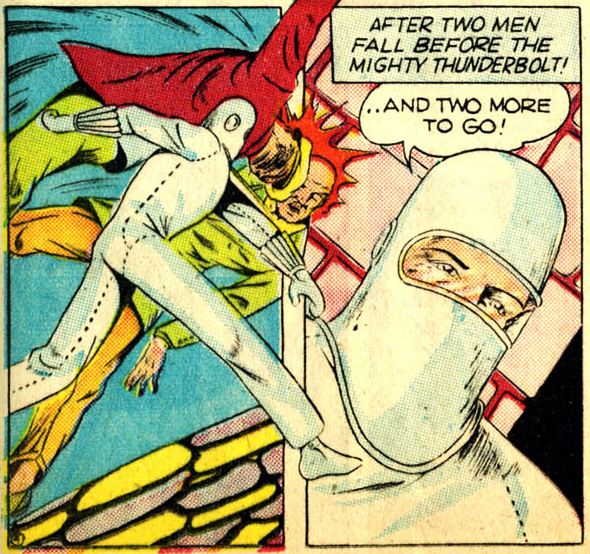 He then had to wear a special suit to control his rather dangerous abilities. Said suit was originally made out of asbestos. He even got a comic relief sidekick who could focus the explosions through his feet instead of his hands. The aforementioned comic relief sidekick. Doesn’t he look hilarious? I did not make any of that stuff up. As people learned more about, oh, all things scientific, the asbestos would be retconned out in favor of a fictional substance called “fibro-wax”. Because the man who can cause anything to explode might not want to risk the health hazard that is asbestos. Quality Comics went under, and they sold off many of their characters to other companies. DC Comics ended up buying many of them, and DC tended to just stick characters like that on another Earth and call it a day. In the case of the Quality heroes, that meant they were on Earth-X (or Earth-10), where the Nazis won World War II. The Human Bomb was there on a team called the Freedom Fighters with other Quality heroes like Doll Man, Black Condor, the Ray, Uncle Sam, and Phantom Lady. Plastic Man may or may not have been there too. Post-Crisis meant the Quality heroes got to live on the main Earth, where the Nazis most pointedly did not win World War II, and instead the Freedom Fighters were just another 1940s era superteam. Many were still active in the modern era, and that would be when another Crisis hit. The Infinite Crisis turned out very badly for the Freedom Fighters. Though some were successors of the original, a team of Freedom Fighters ran into the Secret Society of Supervillains. Ambushed as they were, most of them went down fatally and fast. 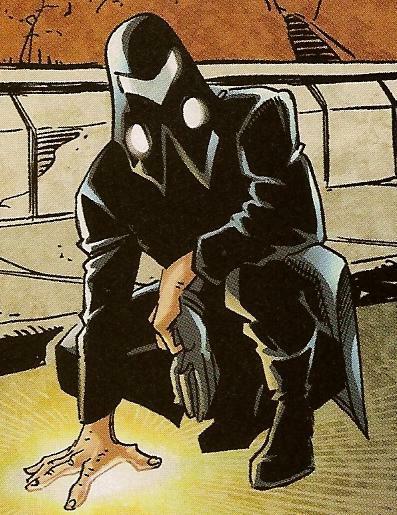 The Human Bomb alone got some good hits in when he ripped open his containment suit and blew Dr. Polaris to kingdom come. 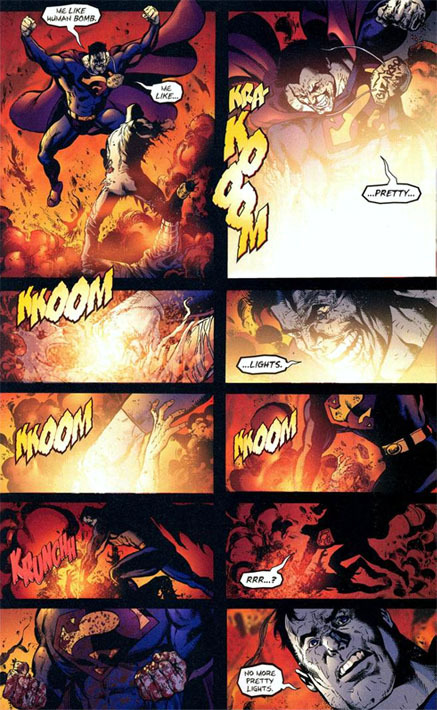 But Bizarro thought the explosion was pretty and basically bashed the Bomb to death until he stopped seeing fireworks. Yeah, this gruesome scene here shows what happens when someone explodes too often. A new batch of Freedom Fighters appeared after that. These guys were entirely new versions of the old characters, and they weren’t pleasant people either. New Human Bomb Andy Franklin was actually the most moral of the bunch, which actually meant the others thought he was a wimp despite the fact he took out a bunch of Atomic Knights with a fingernail clipping. Yes, taunting the guy who can kill with a nail clipping is always a wise move. The New 52 likewise introduced another brand new Human Bomb. I don’t know what it is about the character, but somehow people keep tossing the guy who looks like he’s dressed in a radiation suit everywhere. Previous Previous post: Rogue One: A Star Wars Story Teaser Trailer Is Here!